The TARDIS Chmeleon Circuit GUI has one preset slot set up so that server admins can add a custom preset. You can build the custom preset with almost any block (directional blocks can sometimes be an issue), it can contain empty spaces (AIR), and there should be a door in it somewhere (iron, wood and trap doors will all work). IMPORTANT: When you build it, start by facing EAST so you are looking at the FRONT of the design. 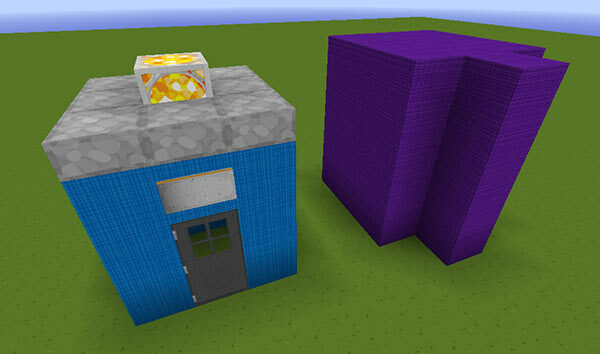 Once you have constructed your new design, you need to create a preset file for the TARDIS plugin to use. The easiest way to do this is to use the /tardisadmin make_preset [name] [asymmetric] command. If your custom preset contained a sign, you can change the text that is displayed on the second and third lines (the first line is reserved for the player’ name).